Join the latest rage in colouring books by creating your own. We can turn photos, drawings & graphics into pages suitable for colouring or you can do it yourself using popular programs such as Photoshop. Colouring books can be successful fundraisers and educational tools. 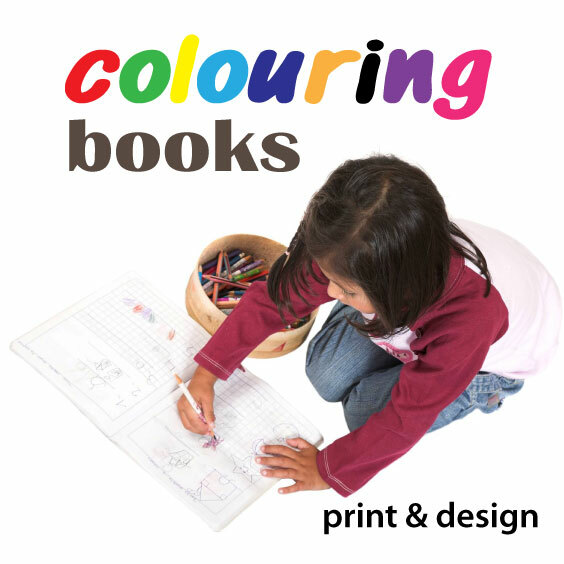 Colouring books are offered in two popular sizes with other options available. Books feature a heavyweight printed 4-colour cover and 28-lb internal pages. Printing can be on both sides of the sheet (duplex) or single-sided (simplex). The latter option is preferred if pages are removed for framing. Cover designs can be as unique as you want – if you can’t design it we can do it for you. Paper/Finish: 10PT cover stock with 80-100lb text internal pages. Sizes available (finished) include: 8.5″ x 11″, 9″ x 12″ less .125″ for bleed. Custom sizes available.